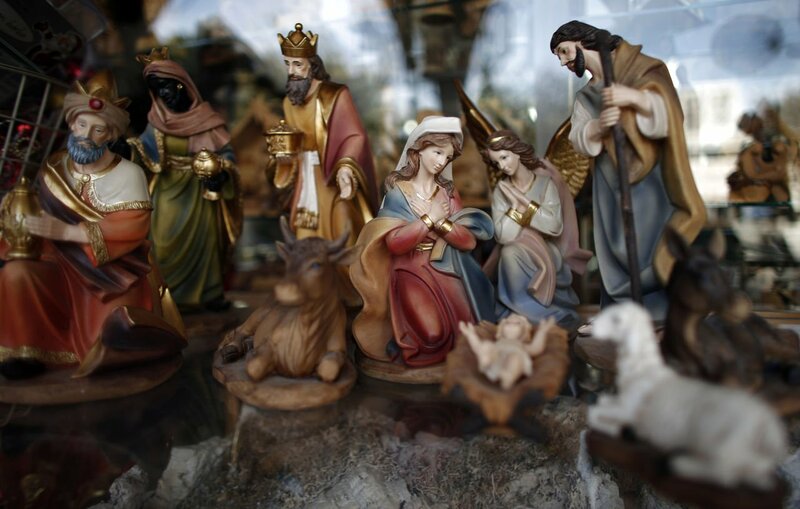 Christians across the world have begun celebrating Christmas with services. Pope Francis is holding midnight mass at the Vatican. In the holy city of Bethlehem, the West Bank town where it is believed that Jesus was born, events have been overshadowed by recent violence between Palestinians and Israelis. Indonesia was one of the first countries to mark Christmas Day. Celebrations are taking place in the West Bank town where it is believed that Jesus was born. However, this year they are overshadowed by the latest Israeli-Palestinian violence that shows no signs of abating. Shepherds watching their flocks by night are believed by Christians to have been the first to hear about Jesus’ birth. Tradition has it that they were told the news by an angel in the Shepherds’ Field in Beit Sahur, next to Bethlehem. According to the Bible, there was no room at the inn in Bethlehem for Mary and Joseph. With no bed available, baby Jesus was laid in a manger. The Nativity story tells how wise men, or magi, came to pay their homage to Jesus bringing him gifts of gold, frankincense and myrrh.